While you’ve probably heard of Botulinum Toxin, the term “Baby Botulinum Toxin” may be unfamiliar. In simple terms, Baby Botulinum Toxin uses a lower volume of botulinum toxin injections than a traditional session of Botulinum Toxin to reduce wrinkles. This means, if a ‘typical’ Botulinum Toxin injection may consist of 20 units (dosage) in an area to smoothen fine lines and wrinkles, Baby Botulinum Toxin may only use 10 units. This is great for individuals, especially “first time” patients, who only want to remove bothersome wrinkles without looking overly done. Using a lower dose can help minimize the fear that most people have about Botulinum Toxin concerning the dreaded “frozen face” that is often associated with the injections. Learn more about Baby Botulinum Toxin to determine if the procedure may be the right option for you. Botulinum Toxin is actually a brand name for Botulinum toxin, a purified protein that temporarily blocks the signal from a nerve to a muscle so that the muscle that causes the wrinkle formation will relax and soften. It is a non-surgical and FDA-cleared procedure that offers safe and incredible wrinkle reduction benefits when used in the right amounts. More than 6 million Botulinum Toxin treatments are administered each year and it’s not hard to see why. 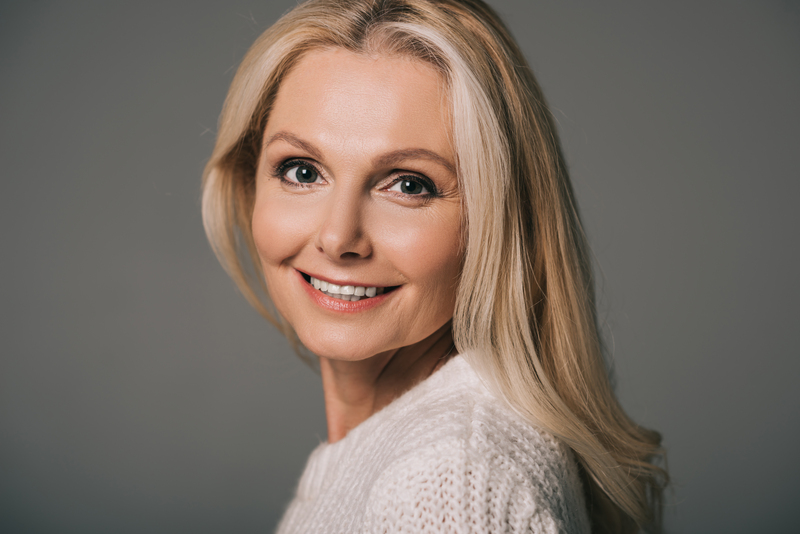 With just a few quick injections, Botulinum Toxin can reduce fine lines and wrinkles on the face and neck by relaxing the muscles responsible for creating creases. Furthermore, Botulinum Toxin also has other uses, such as treating migraines, spasms, excessive sweating and other muscular conditions. During Botulinum Toxin treatment in Singapore, an injection is made into the muscle which temporarily blocks the signals going from the muscles to the nerves. This causes the muscle to no longer contract which relaxes fine lines and wrinkles and prevents new lines from forming. Botulinum Toxin has been proven safe and effective in removing forehead lines, frown lines, crow’s feet and even neck bands. It can also be used to “slim” the face when it is injected on the muscles at the angles of the jaw. This procedure is commonly known as Botulinum Toxin jaw reduction. A Botulinum Toxin procedure takes just a few minutes to complete and the full effects will be seen at least after two weeks. The results of your Botulinum Toxin treatment can lasts between three and six months. Common Botulinum Toxin side effects include redness and bruising on the treatment area which will resolve after a few days. What Can I Expect After Baby Botulinum Toxin? Baby Botulinum Toxin is often favored as it provides a more natural look – which can be hard to detect by others when they look at you. However, the amount of time your natural look will last is different from the ‘standard’ Botulinum Toxin. Since considerably less product is used for Baby Botulinum Toxin, you may need more frequent treatments as the Botulinum Toxin may wear off more quickly. The duration of your result will also depend on the strength of your muscle and how expressive you are on that area. Therefore, you can expect more office visits at certified Botulinum Toxin clinics in Singapore to essentially “top up” your injections if you wish to maintain your results. How much does Baby Botulinum Toxin Cost? The cost for Botulinum Toxin is different for each aesthetic clinic. Some will charge you per area while some will charge per unit (or dosage). At Cutis Laser Clinics in Singapore, we charge $18 per unit of Botulinum Toxin. We are very transparent with the costs and only charge according to the number of units required based on your muscle strength. Although Baby Botulinum Toxin uses lower dosage, it still requires the right injection technique on the correct muscle in order to give good results. Our aesthetic doctor in Singapore, Dr. Sylvia Ramirez, prefers a natural look for her patients. She has been a very experienced Botulinum Toxin injector for many years so rest assured that you are in good hands. Dr. Sylvia is a conservative aesthetic doctor and begins with a small dosage as it is easier to “top up” if necessary. Two weeks after your treatment, we usually schedule a review to see if you’re satisfied with the results or if additional units are needed. Are you ready to get rid of your fine lines and wrinkles? Contact our Botulinum Toxin clinic in Singapore and schedule an appointment with Dr. Sylvia Ramirez.